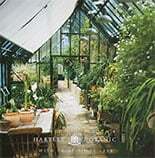 Home / Guides / What are the benefits of brick-base greenhouses? The brick base does not necessarily need to extend far above ground level; however, some models include several layers of brickwork, to create a kind of modesty screen around the bottom of your glasshouse, and this semi-walled effect can be seen in many of our most popular greenhouses. For new-build properties in particular, you have the opportunity to construct your brick base using materials that match your main home – helping your greenhouse to look like a truly permanent part of your property. There are just a couple of extra things to bear in mind when planning to build brick-base greenhouses in your gardens. First of all, how big is your completed glasshouse going to be? For smaller structures, a single-skin brick base is adequate, whereas larger buildings may need a double-thickness wall for stability; the plans we provide will tell you which is best for you.